A carer is someone who looks after a friend, relative or neighbour who cannot manage without help because of illness, old age or disability. It is our aim to seek out carers so that we can offer them support and practical advice. If you are a carer, please contact Mrs Denise Knowles, our Carers’ Support Officer, on 01392 676669. This is held on a Tuesday lunchtime at a local venue. 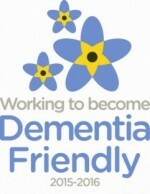 The Club is to encourage Carers to meet and make friends. Transport can be arranged. There is a nominal fee of £5 which includes lunch.